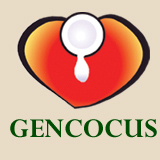 In this era where pure and virgin form of coconut oil is vital and the most substantial natural resource, to meet the demand of healthy and pure coconut oil Shreekalpa Industries have pioneered the manufacturing of Virgin coconut oil and other products under the brand name of “GENCOCUS”. Virgin coconut oil is considered to be “the mother of all oils” with its minerals, vitamins, antioxidants and is an excellent nutraceutical. Having quality similar to mother’s milk, it has about 50% lauric acids, thus confirming its disease-fighting ability. Virgin coconut oil is the purest coconut oil, extracted from freshly shredded and first pressed coconut meat of mature coconuts. It is bleached and does not undergo any deodorizing process and doesn’t possess any odor, but spreads the fresh aroma of coconut oil. We at Shreekalpa Industries manufacture Virgin coconut oil from selected, healthy, consistent coconuts with most modern machineries under the skilled supervision and highly sophisticated laboratory testing equipment system. The end products undergo keen observation and quality control in each and every batch, every stage. Also, they are packed in convenient as well as most attractive and protective material that meets the global standards, maintaining the quality consistency and genuinity of the product. We supply our products with utmost care, maintaining the excellence and reliability to satisfy the customer’s requirement. • Helps to Cure HIV, Eczema, Diaper rash, Bug Bites, Toenail fungus, Head lice, Acne, Skin problems etc. We can supply in large quantity as well as customer convenient small quantity.